One of the easiest ways to reduce overhead costs in an office and save money is by reducing your energy usage. If you’re looking to reduce energy usage in your office follow our simple tips on how to save energy in an office. Saving on your office energy bill can be as easy as changing a light bulb. Not only will updating your light bulbs cut up to 75% of your lighting energy usage, compact fluorescent lights can last up to 12 times longer than incandescent bulbs. Top Tip: When updating your office light bulbs don’t forget exit signs as they often use high energy use lights. No matter how energy efficient your light bulbs are, turning the lights off will always be more efficient. Ensure that your employees understand the importance of turning the lights off at the end of the day or when they leave a room for more than a few minutes. You may also want to hang signs near doors and light switches to remind people to turn off the lights as they leave the room. Alternatively, install motion activated lights in bathrooms, hallways, lunch rooms, and any other areas that are not consistently in use to prevent the lights from being left on all day in an empty room. Not only will this reduce energy usage in the office and save money on the power bill, you will also be reducing the carbon footprint of your office as simply turning off a fluorescent light for one hour can save 30 kg of carbon dioxide emissions per years. It’s also important to ensure that all computers, monitors, and other electronics are turned off at the end of the day, or when not in use, rather than just leaving them running or on standby as this will still use electricity. Advising employees to refrain from using screensavers will also help to conserve energy as twice as much energy is needed to light up a screensaver than to run a black standby screen. 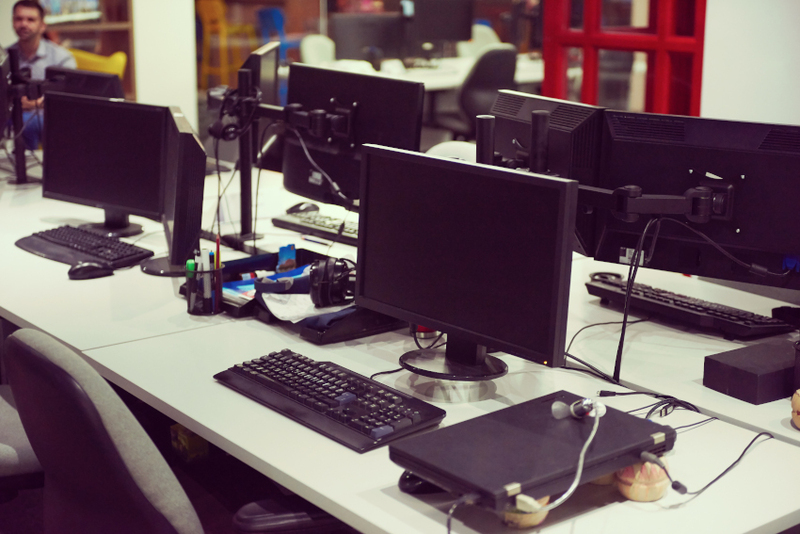 Similar to turning off lights, you can also install signs near computers and at exits to remind employees to turn off their electronics before leaving. Top Tip: Using a powerboard for a group of electronics will make it easier to turn them all off at once and reduce the chance of turning some off and forgetting to turn off others. Another cost effective way to save energy in an office is by installing weather seals around windows and doors. This will prevent cool air from escaping when the air conditioner is running which will in turn reduce the energy used by the air conditioner to cool the room. Additionally, install signs on exterior doors to remind employees and visitors to keep the door closed at all times to prevent cool air from escaping. In Australia, air conditioning in an office is a must. However, it’s important to keep your office air conditioner running at maximum efficiency to keep those energy bills down. The best way to keep your air conditioner energy efficient is through regular professional maintenance. In fact, a poorly cared for air conditioner takes 30% more energy to run than a well maintained one. Not only will regular maintenance increase the efficiency of your air conditioner, it will also extend the lifetime of the unit. This means that the small amount you pay for each service will quickly be earned back in reduced power bills and by increasing the use you will get out of your air conditioner to buy a replacement unit. The perfect air conditioning temperature is a topic of much debate in offices everywhere. Employees sitting near the windows may be too hot and those sitting right under the vents may be too cold. 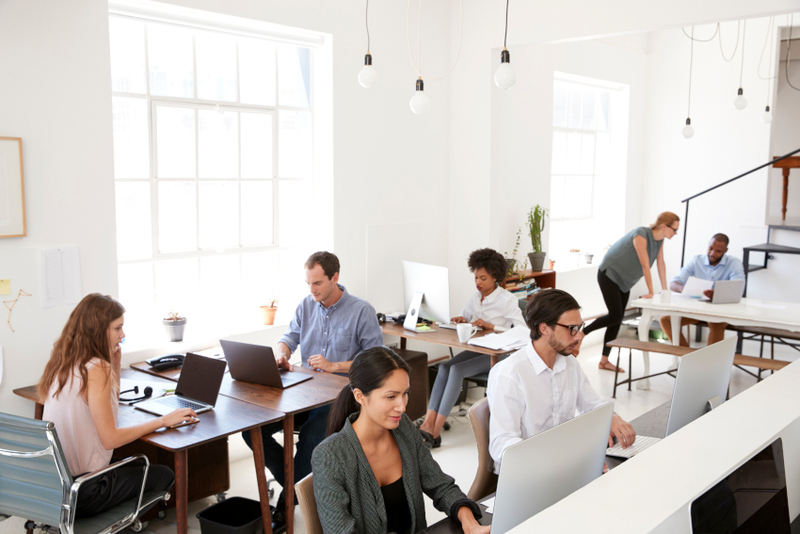 This can result in office workers constantly adjusting the thermostat and setting it to cooler temperatures which will in turn consume more energy. To control the thermostat settings in your office and reduce energy usage, install the air conditioning control panel in a managers office or somewhere else that is not accessible to every employee. Alternatively, advise employees that they are not to adjust the thermostat settings without first consulting with a supervisor. Not only will this help to reduce your office power bill, it may also prevent office arguments over the perfect air conditioning temperature. Additionally, to avoid paying to cool an empty office set the thermostat to automatically turn off every night and on weekends. Advanced Climate Solutions offers reliable office air conditioner maintenance Brisbane wide at great prices. Our highly trained air conditioning technicians are also on call 24/7 for emergency air conditioning repairs. Call ACS on 07 3206 3542 for all of your office air conditioning needs.